Haystack is unlocking the value of device and equipment data. 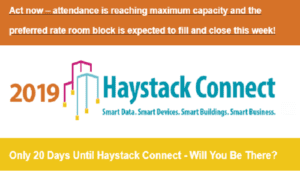 Whether you are a facility owner, operator, manager, manager, integrator, or OEM, new to Haystack, or an old pro, Haystack Connect 2019 has something for you. Join us May 13-15 in San Diego and claim your seat on the cutting edge. 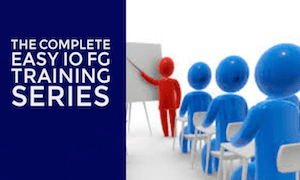 GE, Intel, Siemens, Honeywell, DoE and more than 30 other organizations are scheduled to deliver presentations in sessions where you will not see anywhere else. There’s only 20 days left so register now at www.HaystackConnect.org. You Didn’t Know What You Didn’t Know: Bringing Organization to Data Chaos, to Derive Insight and Generate Actions. All New – showcasing new products and services using Haystack—think “Shark Tank” for data. 11 companies will pitch in a rapid-fire session. Hear how Haystack is being deployed in real-world applications by practitioners from around the world: Integrating with CMMS; Haystack in data centers, industrial facilities, and smart cities; and how Haystack enables the application of Artificial Intelligence. Plus, hear the latest on high performance data-driven buildings with sessions on fault detection and diagnostics, with speakers from industry, NREL and LBNL. A core focus of the Technical Track will be a detailed review of Haystack 4—the result of almost two years of work by Working Group 551, which is now in public review. 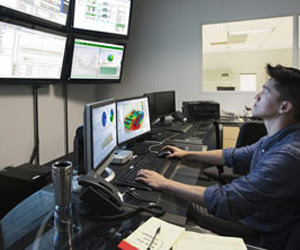 Get an update on the latest version of nHaystack for Niagara systems, see how Current, powered by GE is applying Haystack 4 to lighting systems. 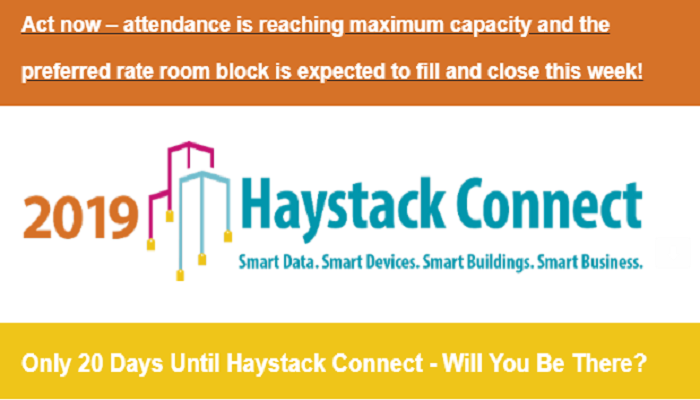 You don’t need to be a Haystack expert to attend and benefit – Haystack Connect 2019 is the place to start your journey to learn how to apply semantics to device and equipment data. All of this, plus the expo hall, networking, and the Interoperable Blues Band! There’s so much to learn, see and do at Haystack Connect. 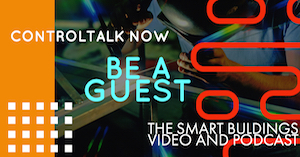 If you are involved with smart devices and equipment you don’t want to miss this event. Visit www.haystackconnect.org/schedule/ for full details. Act now – attendance is reaching maximum capacity and the preferred rate room block is expected to fill and close out this week! To begin automating a building, all roads lead to a master systems integrator. In most cases, the integrator is the organization that will align industry solutions with the goals and objectives of the client. 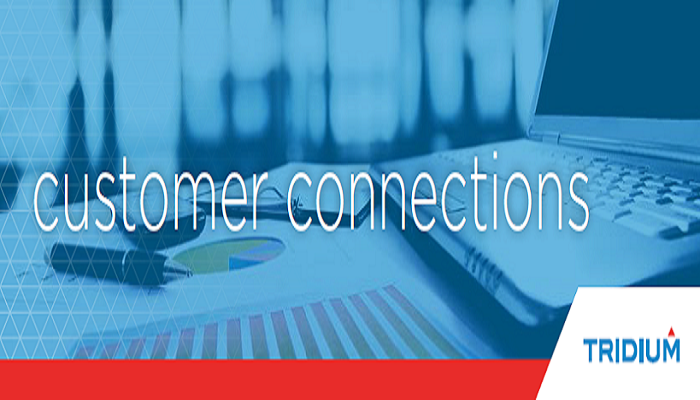 The single building, single vendor solution can no longer meet the needs of the market. In a world where IT is quickly encroaching on traditional building automation, yesterday’s strategies no longer work. 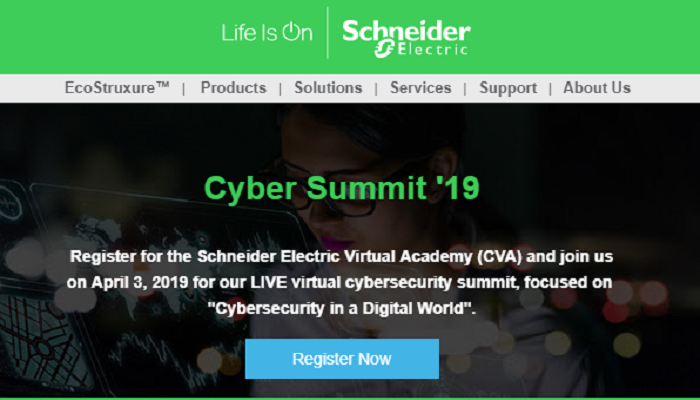 If you’re a traditional integrator looking to expand your service offerings to meet the future needs of today’s open architected, interoperable, integrated, IP-centric intelligent buildings, portfolios, campuses and cities, you won’t want to miss this dynamic Summit. See agenda below. Many Integrators in the industry started their journey working with one or two building systems and a relatively small list of manufacturers. Integration, interoperability and an IP-focus have forced the modern-day integrator to rethink what a smart building actually entails for operations. Multiple buildings, systems and vendors, along with the need for enhanced cybersecurity, have brought IP and IT issues to the forefront. Today’s Master System Integrator needs to be as well-versed in IT as they are in building systems. 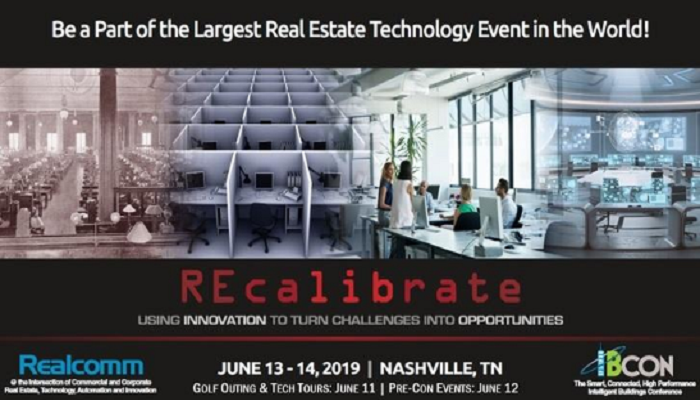 This dynamic session will present forward-thinking integrators to discuss topics such as increasing IT skills, enhanced training and developing a broader, more business-driven approach to smart buildings. It is not uncommon to find legacy technology in buildings that dates back more than 30 years. At a time when technology was analog and interoperability/convergence a distant dream, the systems were primitive at best. Since then, IT has made steady inroads into the Integrator landscape and now IoT has, yet again, introduced a new layer of complexity to the equation. While it is easy to suggest that these worlds should come together smoothly, the reality is it takes a lot of time, and methodologies vary widely in effectiveness. Add the idea of controlling a building from a phone and the picture gets even more complex. This crucial session will focus on the practical, real-world dirty details required to make this next generation smart building a reality. In the beginning there was one building, one system and one vendor. Fast forward 30+ years and the smart, connected, high-performance, intelligent, sustainable building of today looks quite different. IT, the cloud, wireless, mobile devices and a host of other new technologies are making for a very complex proposition. Along with the increased complexity also comes greater opportunity. The projects are getting bigger and that means more business. Concurrently, the decisions for these smart, connected projects are moving up the ladder to the C-Suite and involve people from IT, operations, marketing and other departments. The focus of this conversation will be the need for successful MSIs to focus on business first, technology second. A declining interest and proficiency in math and science in high school, foreign university engineering students returning home with their skills, little interest in our industry by millennials, competition from more intriguing tech related companies…the list goes on and on. The bottom line is that our buildings are getting more complex, including the need to protect them from Cybersecurity threats, and the pool of candidates to support these new smart buildings is not keeping pace. 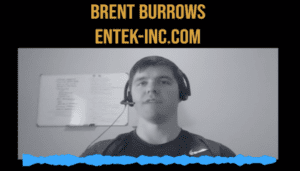 Over the years, the industry has made attempts to solve this problem, along with the fact that some college systems are attempting to create programs to address this issue. This session will allow attendees to weigh in on this very important topic. Over time, one of the major complaints was that the systems found in buildings were proprietary, not integrated nor interoperable. Over time middleware solutions began to offer a way in which to bring these disparate systems together in a cohesive manner. Enter the cloud and all of its benefits, we now see organizations rushing to take advantage of this modern technology only to find themselves once again dealing with disconnected systems. The industry is at a point where it needs to understand the benefits of integration, interoperability and cloud computing and come to terms on what a modern approach should look like. This session is sure to provide some very spirited discussion and debate on this “back to the future” topic. It seems that over the last five years, everyone has become very comfortable with the idea of hitting a button on a mobile phone and having something happen. Hail a car, order a coffee, reserve a table, attend a concert and other instant experiences have become the norm. Things for the most part are different once you enter a building but that is changing. A host of new companies have arrived to deliver a variety of building experiences. Open the parking gate, get through security, hail the elevator, order the coffee, schedule the yoga class, turn down the A/C and turn on the lights are just some of the new expectations. Every integrator knows this is not an easy task and this session will strive to bring a balanced approach to the conversation. 5G, CBRS & IN-BUILDING WIRELESS – What is the Impact to a Smart Building Strategy? The mobile phone revolution has exploded. We have gone from phone calls and texts to more computing power than the first NASA mission connected to a unified global network. The next generation of 5G, CBRS and other emerging technologies are poised to radically shift wireless communications inside a building. 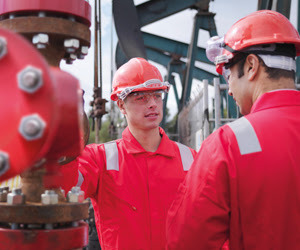 Though still a few years out, building owners and operators need to be thinking about the impacts now. WIFI, Distributed Antenna Systems (DAS) and even how we connect traditional building systems and future IoT devices is up for debate. 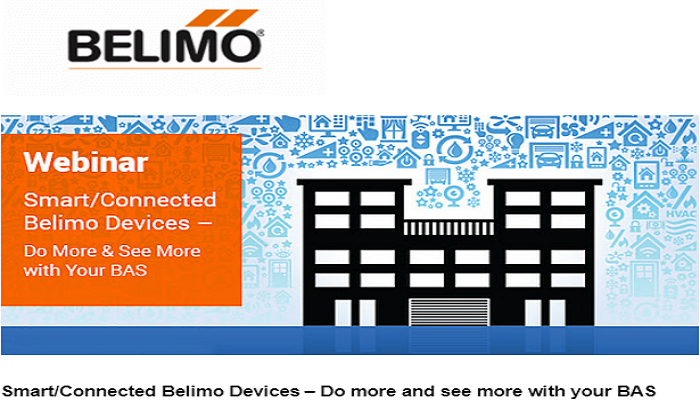 Anyone involved in smart building projects will not want to miss this In-Building Wireless segment. 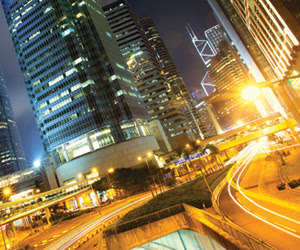 The building communications infrastructure is key to a smart building strategy. 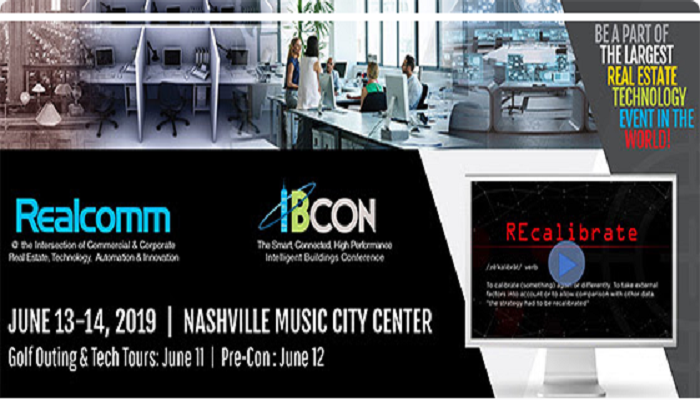 If you are part of the Integrator community and a registered attendee for Realcommor IBcon, you are invited to attend the Smart Building Integrator Summit (SBIS). Please RESERVE YOUR SEAT using the link below. Space is limited. 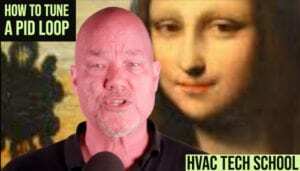 What is an economizer & what are the benefits? 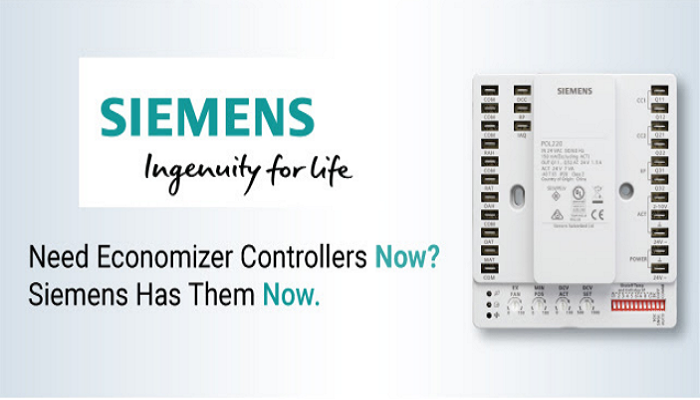 Is your economizer actually saving you energy? And what to do if it’s not. 1. 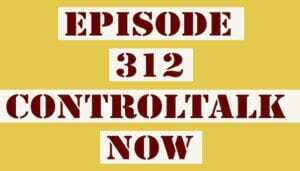 Is it a two way or three way control valve . 2. Is it Normally Open or Normally Closed? 4. How is it piped? 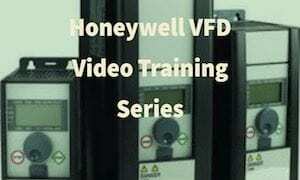 Watch video for examples. Hope you enjoyed this video, please reach out in comments should you have any questions. PS Sorry about the out of focus shots, I was having problems with my lens. 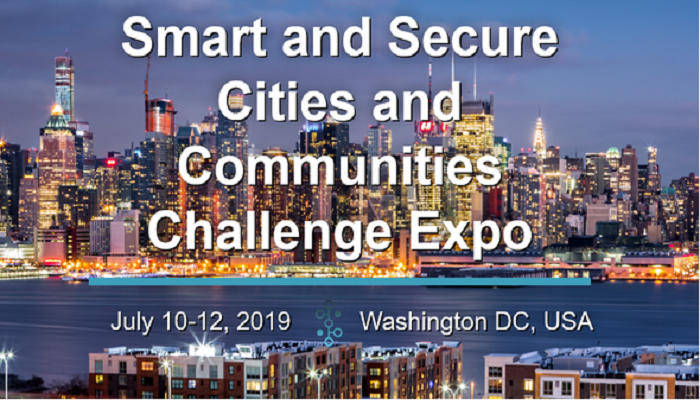 NIST and the U.S. Department of Homeland Security Science and Technology Directorate invite smartcity stakeholders to the Smart and Secure Cities and Communities Challenge Expo at the Walter E Washington Convention Center in Washington DC, July 10-12, 2019. The Expo will include representatives from other Federal agencies, industry, academia, cities and communities around the world. Registration is free, required for attendance, and instructions are online. 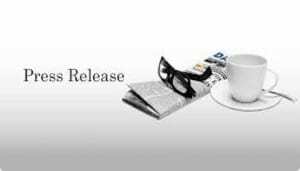 A preliminary agenda is also online and will be updated. Please visit the 2019 GCTC/SC3 Expo website or contact Sokwoo Rhee for more information.